Synopsis from Goodreads: My best friend was now my deadliest enemy, the one person I'd hate beyond all measure for the rest of my life . . . I read Adorkable last summer, and I absolutely loved it. It was my first of Sarra's books, and I was super excited to read more. 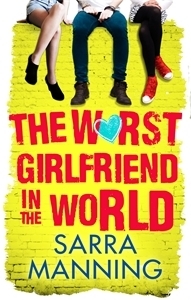 The Worst Girlfriend In The World was my second of Sarra's books, and while I didn't enjoy it nearly as much as I loved Adorkable, it was still a good read. I don't normally go for the typical two best friends both want the same guy story, because I'm always a little wary of situations that sound like love triangles. However, I had faith in Sarra's writing and was happy to find that it wasn't really a love triangle as such - it wasn't Louis, the guy, umming and ahhing about who he likes better, it was mainly focused on Franny's rocky friendship with Alice. 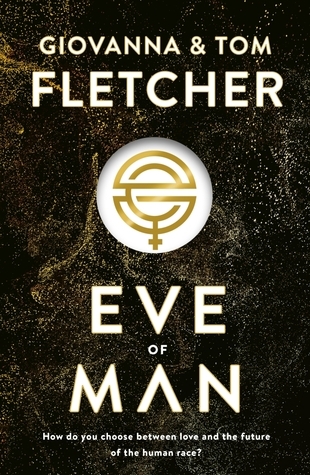 Once you realise this, the title of the novel takes on a whole new meaning! In fact the whole book is based on the relationship between the two girls, with their romantic relationships taking a back seat, which I really enjoyed. I have to admit it took me a while to really get into Franny's story and the novel as a whole, because I couldn't really identify with any of the characters at the beginning of the novel. However, as the story went along and we got to know more about Franny, I began to really enjoy it and by about half way through, I was flying through the pages. I think I read the last half in only two sittings? I really liked reading about all of Franny's fashion adventures and about her trying to make clothes in her fashion course at college. Last year I had a phase where I made a lot of clothes and so it was really cool to read about her trying to sew sleeves into her leather dress because I know from experience that it is bloody hard. Franny's experiences with her mentally ill mother were also really interesting to read about, since I've not read much about characters with mental illnesses. It made Franny seem that much more real and mature and I think that Sarra dealt with a sensitive issue really well. I really like the supporting characters too. I loved reading about how Franny became friends with all her college classmates, and also her developing relationships with Frances, Louis and Raj. I think Raj was my favourite - he didn't have a massive part but when he was around he was really funny. I also really liked Frances, and I'm so happy with his storyline. I don't want to spoil anything so I won't say anything else but he was great. I couldn't get on with Alice though. She and I are like chalk and cheese and I couldn't really relate to her at all. Overall though, The Worst Girlfriend In The World was a good read. I would recommend if you're looking for a story of the relationship between friends and family rather than just romance. Sarra's writing is enjoyable and easy to read, and the story gets better and better as it goes along and you get to know the characters. It'd make a really great summer read! I read Adorkable a few months back after finding it in The Works for £1. I ended up enjoying it way more than I expected to so I am definitely going to read this at some point.